Click on any photos for the large version. I usually travel with two or three pocket/compact cameras plus two phones (more on that later), and a good travel vest will comfortably carry 3 compact cameras, 2 phones, any meds and etc. that I'll need in flight or when walking, plus my 2 power banks (Vancouver to Beijing is 12 hours or so) , my passport and wallet, tickets and boarding passes, usb keys and small hub, a few USB cords and cables--and I still have room for more if I want. Not lots more--but I'm not outta space. A big pocket on some of these will even easily fit a 7" tablet. Now, I wouldn't travel with it there, myself. It'd fit and it's doable in a pinch, but it wouldn't be Comfort City, I don't think. Added benefit: when I'm wearing my vest, there's really not a lot left in my checked luggage to steal except clothes and shoes. And, buying clothes in a foreign country is cheaper--and much easier--than replacing electronics. A travel vest is like a personal valet for handy stuff, and the best even have interior pockets for the truly valuable stuff. I have three travel vests for progressively hotter seasons . More mesh but less pockets--or less discreet pockets--is the trade-off. 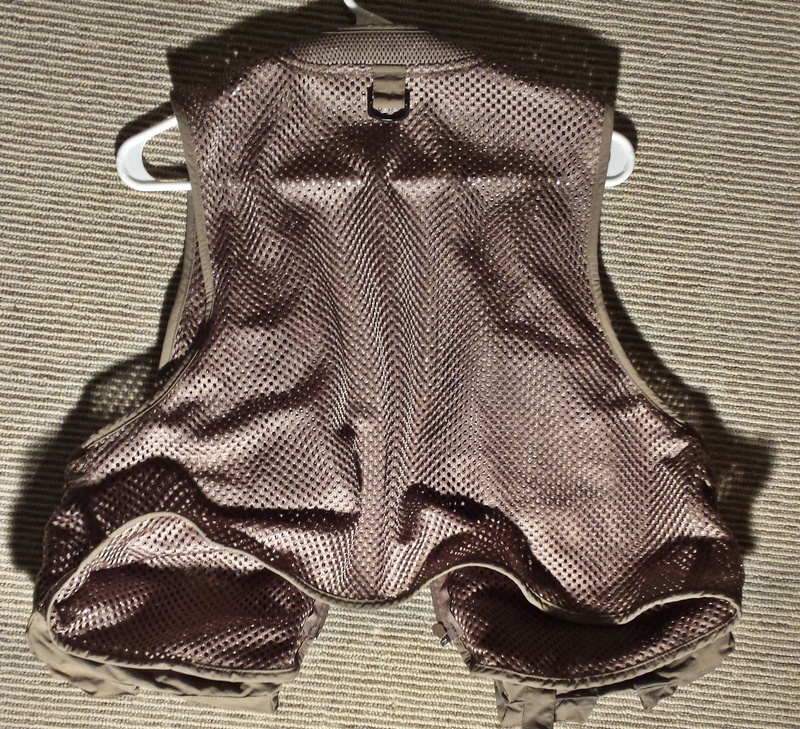 The top vest has sewed shut pockets; the example to the right is mesh for comfort in hotter weather. 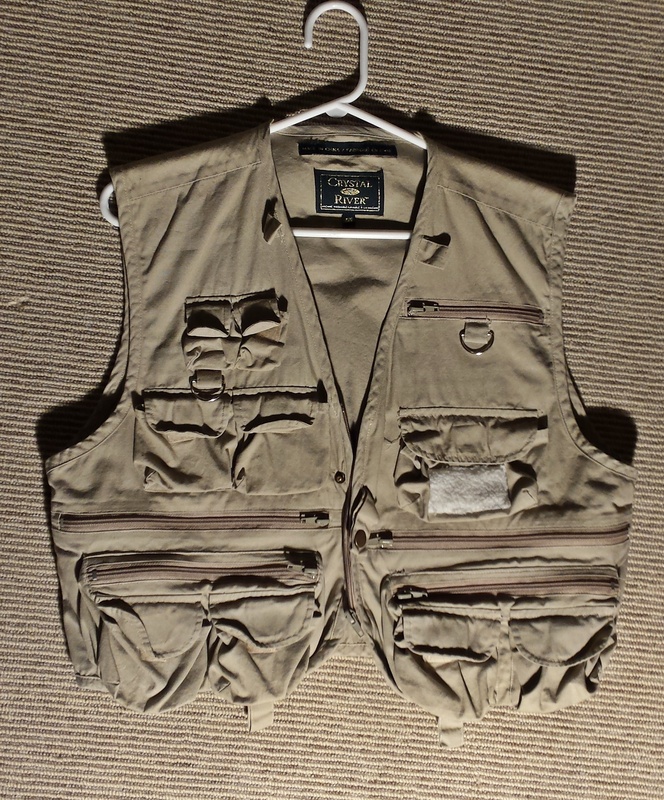 Yes, travel vests identify you as a traveler, and I'll allow that they're kinda geeky--but they work, and in ways one might not expect. For example: I'm far from being a rich traveler, so I fly coach. That means, at best, that the carry on allowance is usually just one somewhat bigger overhead stowable bag that's hard to get at once you're airborne, plus a small bag or extra item that's expected to go under the seat in front. That's it. Except a vest is just a vest, even if the vest's many, many pockets are full'o'stuff. I've never had my vest counted as a carry on or extra item. I've never encountered even the slightest hesitation from any gate-keeper about wearing mine. And I put it through the airport scanner like any other bag. Good times. Same with trains. Train travel is ubiquitous in China. It's fast, ultra efficient, generally quite comfortable--and cheap by western standards. And most train station entrances have metal detectors and scanners. Just like airports. And just like airports, passing through them is a breeze with a vest. Y'just take off the vest, drop it on the belt or in the tray, and run it through. All the stuff in it is easily scannable, and you're on your way, hands free for the carry on and small bag that you still have for stuff you wanna bring with you on an airplane, or the luggage you might have if you're on a train. 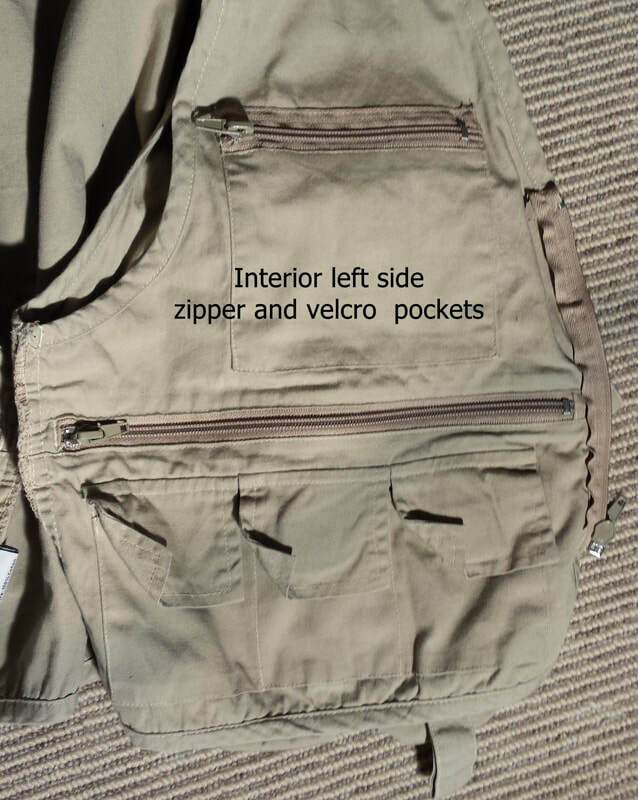 remove, or sew closed, any and all pockets on the back of any vest I use for travel. In addition to pickpockets taking stuff out of my back pockets, security at airports means I have to pay just as much attention to what could be put in my vest as what could be removed. My thinking is: I can't control what I can't see and I'm traveling, not fishing. So the back pockets get shut or gone. I remove the neck cord and sew the remaining pocket in but only at the end opposite the zippers. Since the zippered end is loose, it's really hard to open one-handed but very easy with two. I figure that's even more pickpocket protection. I also install so the zippers open down which, one-handed, just forces the loose end to buckle. For documents, cash and wallets, and cameras, I sew extra zippered pockets inside some of the existing pockets to place unexpected barriers between my stuff and any pickpockets. For the extra pockets, I just use a garden variety, zippered passport pouch (see below). The kind that goes around yer neck. The ones I use have two zippered compartments, so something flat like a passport, or even something thicker like some compact cameras, for example, will fit in each pouch, no problem at all. The neck pockets I use/abuse have two zippered compartments, so something flat like a passport, or even something a bit thicker like some compact cameras, for example, will fit in each pouch, no problem at all. 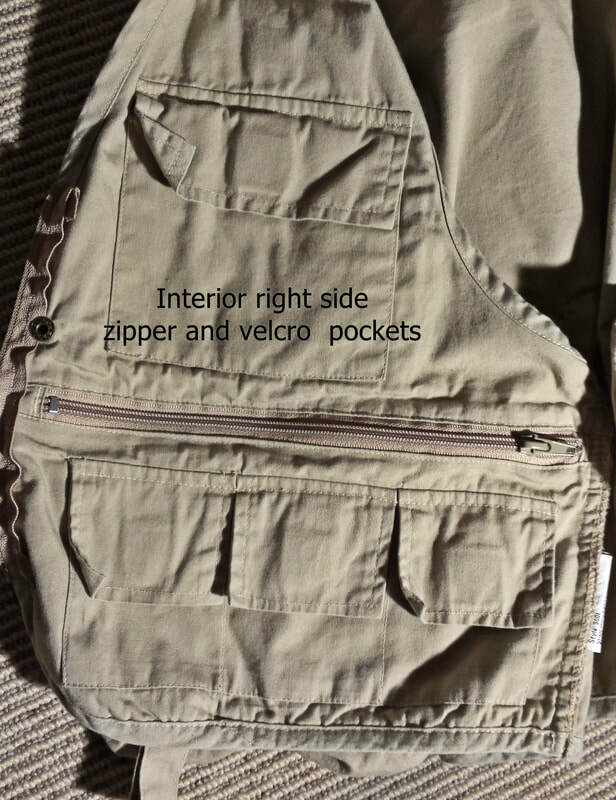 I use vests with inside pockets so that I can place passports, cash and other valuables even further out of harm's way, and I add extra pockets to the interior of some of those as well. Although I'm very careful about pickpockets and troublemakers like I describe, I've never ever felt like I needed to be ultra-cautious anywhere I ever was in China. I'm sure there are some places I should steer clear of, like in every country--but I didn't find them, and I wandered quite a bit. I just don't want to be misunderstood as saying that China's unsafe. I've always felt exactly the opposite. I always feel very safe in China. It still pays to be careful. Situational awareness counts, and makes you less likely a target to start with.